Mechanical imaging yields tissue elasticity map and provides quantitative characterization of a detected pathology. The changes in the surface stress patterns as a function of applied load provide information about the elastic composition and geometry of the underlying tissue structures. 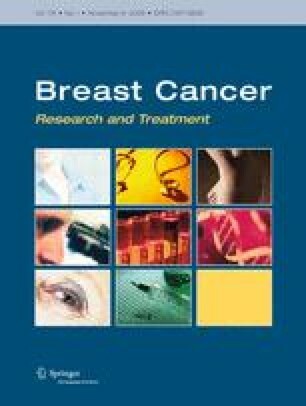 The objective of this study is the clinical evaluation of breast mechanical imager for breast lesion characterization and differentiation between benign and malignant lesions. The breast mechanical imager includes a probe with pressure sensor array, an electronic unit providing data acquisition from the pressure sensors and communication with a touch-screen laptop computer. We have developed an examination procedure and algorithms to provide assessment of breast lesion features such as hardness related parameters, mobility, and shape. A statistical Bayesian classifier was constructed to distinguish between benign and malignant lesions by utilizing all the listed features as the input. Clinical results for 179 cases, collected at four different clinical sites, have demonstrated that the breast mechanical imager provides a reliable image formation of breast tissue abnormalities and calculation of lesion features. Malignant breast lesions (histologically confirmed) demonstrated increased hardness and strain hardening as well as decreased mobility and longer boundary length in comparison with benign lesions. Statistical analysis of differentiation capability for 147 benign and 32 malignant lesions revealed an average sensitivity of 91.4% and specificity of 86.8% with a standard deviation of ±6.1%. The area under the receiver operating characteristic curve characterizing benign and malignant lesion discrimination is 86.1% with the confidence interval ranging from 80.3 to 90.9%, with a significance level of P = 0.0001 (area = 50%). The multisite clinical study demonstrated the capability of mechanical imaging for characterization and differentiation of benign and malignant breast lesions. We hypothesize that the breast mechanical imager has the potential to be used as a cost effective device for cancer diagnostics that could reduce the benign biopsy rate, serve as an adjunct to mammography and to be utilized as a screening device for breast cancer detection. The authors would like to thank Ralph Tullo, MD, Breast Health Institute of Maitland, Florida, for his assistance in the clinical study. They also appreciate the engineering support of Milind Patel for the Breast Mechanical Imager. This work was supported by National Institute of Health under research grant CA091392 “Imaging Network for Breast Cancer Mass Screening”.